This is one of my favorite Thanksgiving printables so far. 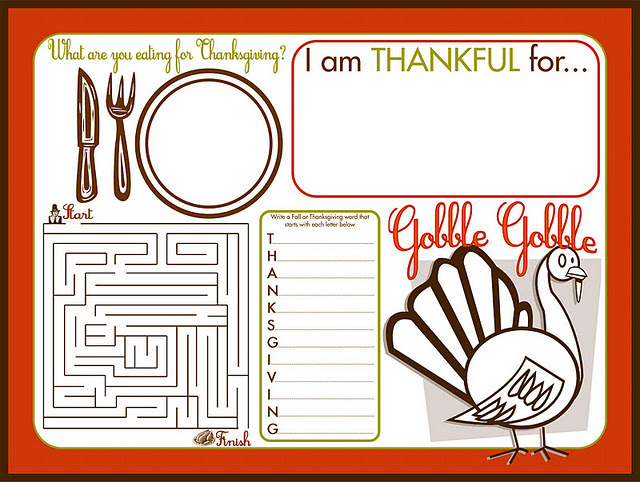 This cute Thanksgiving activity sheet from Embellish reminds me of a fun kids menu at a restaurant. Pictures, mazes, and games to keep your little ones occupied at the kids table. You can download this Thanksgiving activity sheet and the rest of the Thanksgiving printables over at Whatever Dee-Dee Wants and you can check out other Thanksgiving activities for kids HERE. These are awesome thanks so much for posting this! Will use this Thursday! !